Miami is an exciting city with many fun and interesting things to do. You hear a lot about the beaches and the many attractions but what you don’t hear much about is the off road adventures and excellent fishing opportunities that you can take advantage of when you live in this beautiful sunshine state. There’s many fun and exciting things to do that a lot of people never think about or they simply don’t have the means to get out and enjoy these activities. If you love venturing out to those “out of the way” places that the average person never sees, you’ll need a vehicle with four-wheel drive and lots of power. The Toyota Land Cruiser is an excellent choice. You have several options when choosing a four-wheel drive vehicle but the Toyota Land Cruiser is a popular choice for those who enjoy adventuring out into areas where regular vehicles simply won’t go. It has a V-8 engine that is capable of giving you the power you need to tackle even the toughest terrains. It’s a powerful SUV with features like Crawl Control, Multi-Terrain Select and 4-Wheel Drive. These features allow you to get where you’re going and back again without worry, so you can enjoy venturing out in areas other people don’t even know exists but that’s not all. The Land Cruiser has amazing towing capabilities, which is another reason why it’s so popular. The V-8 engine gives you the power you need to tow boats, utility trailers and more. These vehicles can tow around 8,000 pounds without dragging the ground or straining the engine so they’re an excellent choice for all your towing needs. If you love fishing and need to tow your boat to the water, you can get in all types of secluded places where the fishing is fantastic. Perhaps you prefer water skiing or just cruising around and playing in the water. Regardless of what type of water sport you enjoy, the Land Cruiser has the towing ability to get you and your watercraft there. The Land Cruiser may have a reputation of being tough and rugged but it also performs beautifully and offers a smooth, quiet ride so it’s not just an off road vehicle. When you’re not having fun in one of your off road adventures, you can enjoy a comfortable, relaxing ride to and from work or to any other destination. These tough SUVs are easy to maneuver and respond quickly, which also makes them a practical choose for any driver. It’s like getting two vehicles for the price of one. If you’re interested in learning more about the different models and features available on the Land Cruiser, you can visit South Toyota in Miami. The dealer can help you decide if it’s the right selection for you. 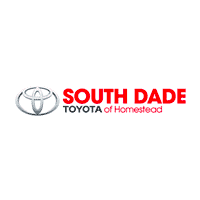 Miami is filled with all types of fun and exciting off-road adventures just waiting for you to take advantage of and when you choose this Toyota, you also get a vehicle with towing capabilities and a comfortable ride.